If you have a bike or a car, then it is a nightmare for you to get a hassle free long drive but you might have a fear about vehicle breakdown or flat tire problem. No matter whether your car is new or old one, but your car may experience some problems such as flat tires, battery down, flooded engine or some small break down issues. 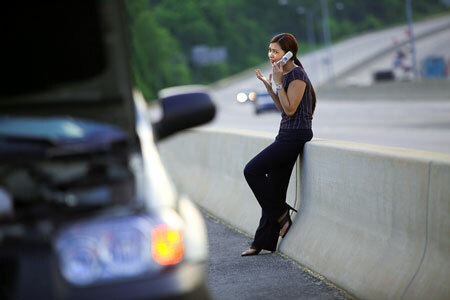 However, you need a roadside assistance to take care even a small problem as far enjoying a happy ride. In this case, it is terrible to locate a nearby mechanic or you have to wait until the mechanic reaches your place. Sometime it will be difficult for rescuers or mechanic to find your location and you can not track where they are coming. There are several companies providing roadside assistance coverage with different packages and people can choose their convenient one. But if your vehicle is in too bad condition, then you are in endangered situation. The time of road side help will be provided by the package which you have chosen or it varies from company to company. You must always have ensured vehicle repair will get fixed in less than 30 mins to go for a happy drive. There is a new technology has evolved rapidly, which allows people to manage the road side vehicle assistance. The mobile app has a menu to choose the service they required and user can able to request for any kind of roadside helps. The same way rescuer can either accept or deny requests by tapping mobile application. The rescuer’s movement will be tracked by dispatcher and also by users. So user will get to know the expected arrival time and also rescuer can find a user’s location. This is really worth of having mobile based technology in roadside assistance firms as well as people. So you can get rid of minor breakdown problems and get a hassle free ride.